For a while Adrien has been sweetly complimenting me on taking fashion risks, especially when it comes to denim. Now, I take that as she likely means it, which is as a compliment, but I know some people look at my jean choices with a wary eye. What can I say? Nothing edges up a basic jeans and a top outfit like those jeans being Fashion. And no, I don't mean like those clear plastic window jeans. Sometime in the last year and change I got really tired of skinny jeans. I still have two pairs I wear sometimes, and my fave Target moto pants are a very skinny cut, but for the most part I'm just not feeling it. 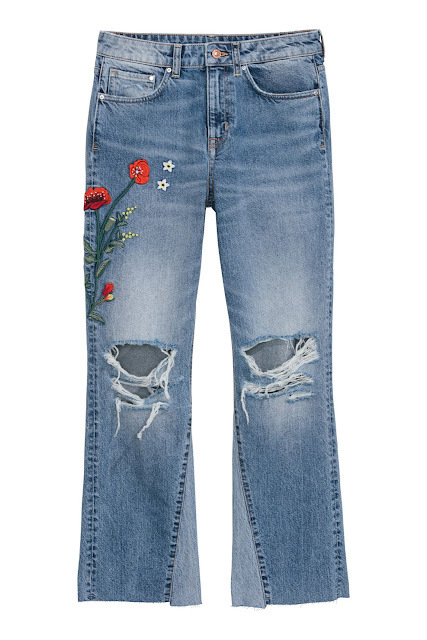 So I asked Adrien if she would like me to do a post on some fun jeans and she said duh, so here we are! My absolute favorite jeans for over a year now are from H & M and man, I wish I could go back in time and buy a second pair of them in my size, instead of what I actually did which was buy a second pair in a size smaller which is JUST MEAN PAST ME. WOWWWEEE That was a lot of denim talk and I didn't even get very far. But I want to know--where are you guys on denim these days? Are you clinging to your skinnies? Did you never give up bootcut? 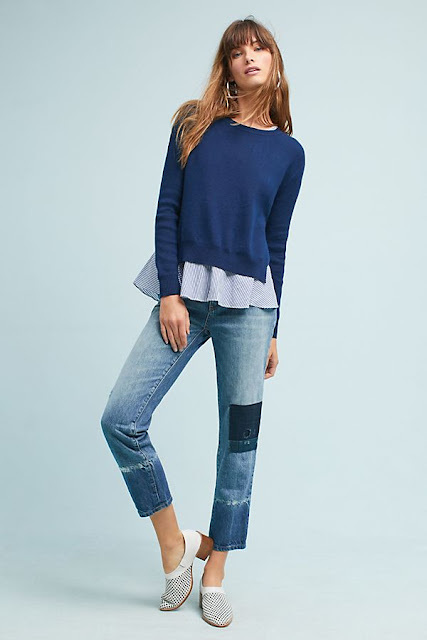 Are you full-on normcore mom jeans? I am not lying when I say I really want you to tell me. I love talking about jeans. I’ve been sticking with my skinnies for dates and other going out occasions, boyfriend jeans for anything & everything, and a dark wash straighr leg or flair for work. I like having options- colors, washes, and even prints. Today’s jeans are my Current/Elliot The Fling in a check print. I am currently wearing high rise straights, LONG dark wash boot cuts, and several pair of girlfriend styles, some with rolled cuffs, and others with released cuffs. I am so OVER skinny jeans that are too skinny for my (admittedly athletic) calves. The closest I now go are curvy cut dark straights from two years ago (that were trying to be skinny, so they aren't all that straight). I'm still in the skinny jean phase. I've tried boyfriend/girlfriend jeans a few times over the years but haven't found anything that suits me. I live in Hawaii and pretty much live in slippers (aka flip-flops) when I'm not at work so skinny jeans work well because they don't drag on the ground. :) one of these days I'm sure I'll venture into other denim styles but for now, I'm just too lazy to get out of my comfort zone. I like all kinds of jeans! I have bigger hips, a small waist, and big calves so they're sometimes challenging. I am a thrifter, so I have A LOT. For work, I mostly wear a straight leg dark wash pair I got at LOFT for like $5 and one of two pairs of skinny Madewell jeans (one dark + one black). 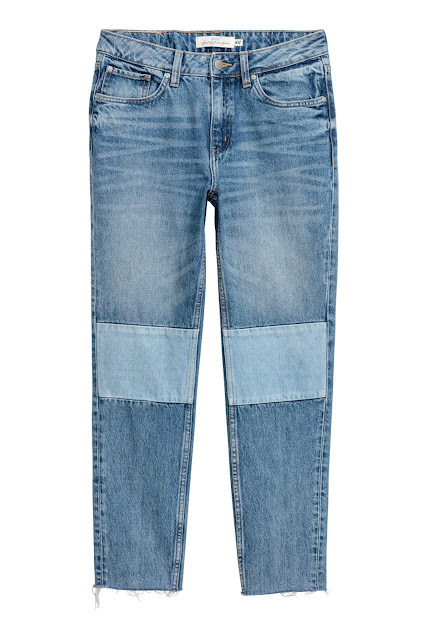 But I really really like Levi 501s (are these mom jeans? ), and I have three pairs: two thick 100% cotton ones and one pair thinner holey ones. 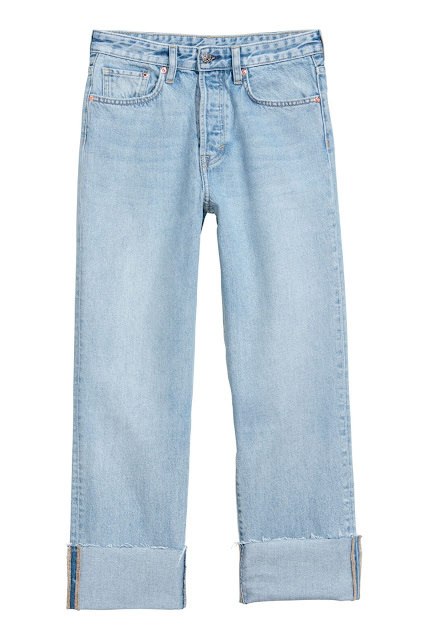 I also like to thrift men's Levi's 511s, which are this perfect vintage-y straight leg. I have one pair of J Crew raw edged holey crops but they are not tight enough in the waist so I just Posh-ed a pair of J Crew Billies for $10, we'll see. I have more black jeans, too: I mostly wear a skinny-ish (thrifted) Pilcro pair, but I also have some straight leg Levi's and J Crew matchstick I throw in. 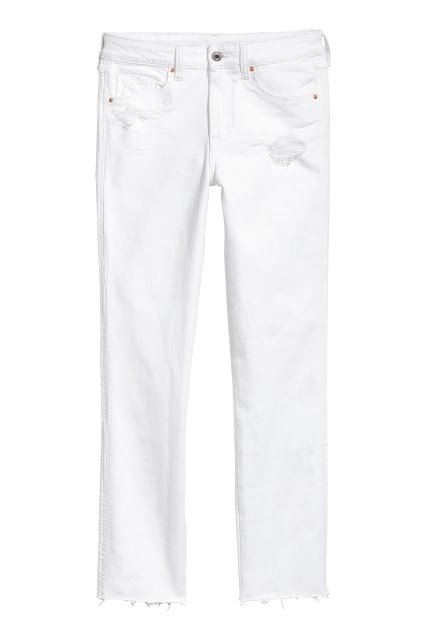 Now I kind of want white jeans, thanks to this post. Jeans are the best! 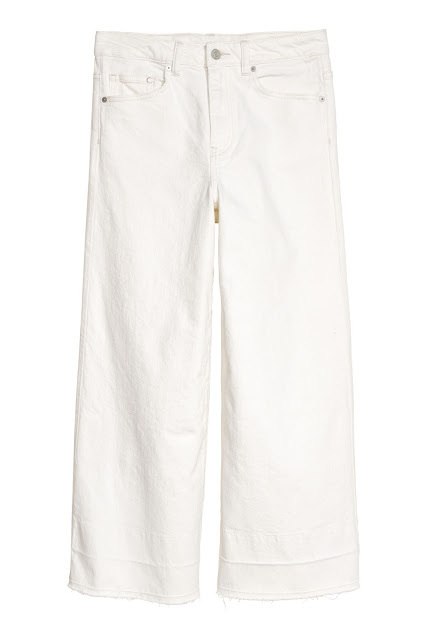 Maybe try mid-Rise released hem boyfriend jeans in white from Universal Thread at Target -- we have a similar build, and I really like them; not thrifted, but the price is good. Oh, man. 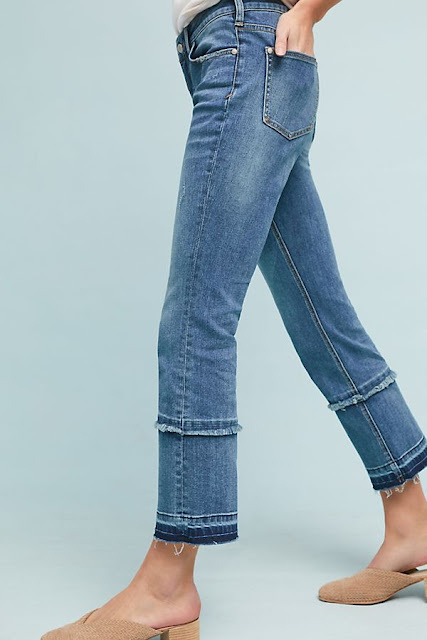 I can't quite quit skinnies yet, even though I have a few girlfriend pairs that I really enjoy -- I think because a better part of a decade in skinny jean-land means that I know what I'm shopping for, and I can't wrap my brain around flares or mom jeans yet. BUT regardless of style I am holding out for high waists. No more awkwardly yanking jeans up by the beltloops to avoid plumber's crack when sitting down! No more waistband wiggling its way down to give me primo muffintop! High waist only! Earlier this year I bought what I've vowed will be my last skinnies: for the end of winter, one pair no-fade black (we shall see about that) and one pair in blue (simple, everyday, no distressing, slightly cropped). Both are Madewell 9" high-rise skinnies. 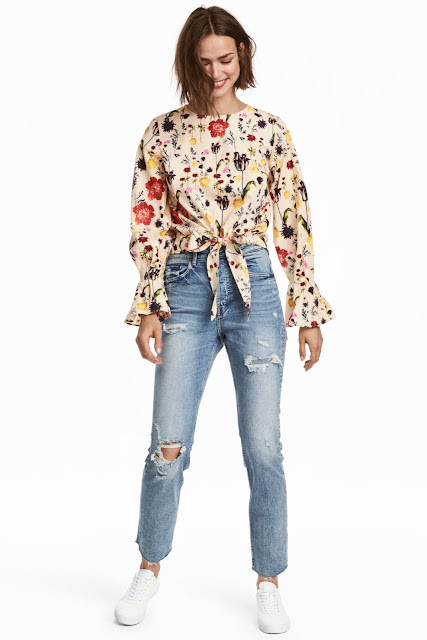 I'm ready to be done with skinnies but have become very used to the skinny-pants-flowy-top formula and need to remember how to wear other shapes. It's time! For more fun denim to be worn into spring, with slightly cropped or half tucked or otherwise waisted tops, I have an older pair of distressed, patched, rolled-cuff cropped Old Navy light blue boyfriend jeans, and a pair of faded black Madewell Slim Straights with let-down hems, and a pair of faded light blue American Eagle cropped flares. Spring Denim: a season of transitions! I want to try more straight-leg high-waist jeans but find that many are too high-waisted. I'm slightly short-waisted and only 5'4" so an 11" rise is not happening.